Are you thinking about purchasing a new pickup truck but are not sure which model may be best for you and all your needs? That's okay! We've created this review comparing two of the most popular and loved models that have stood out year after year: the Ram 1500 and the Ford F-150. The 2018 Ram 1500 is a versatile and dependable truck that is offered in so many configurations. 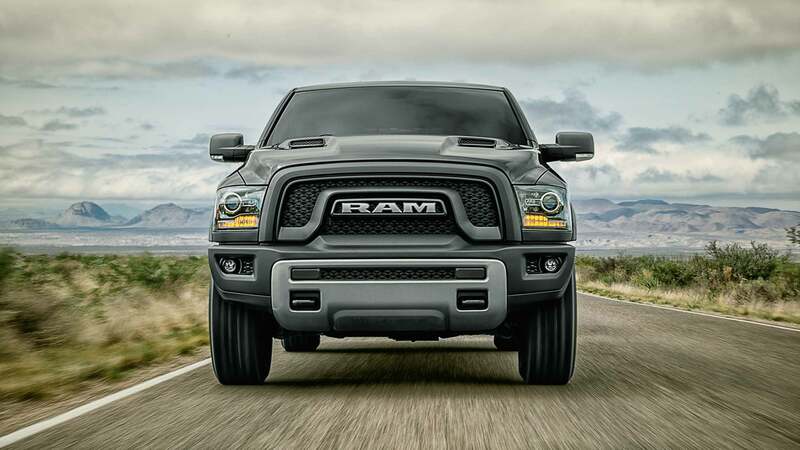 The Ram 1500 also offers a great engine lineup and modern technology features. Updates for the 2018 model year include a rearview camera now standard on all models and the addition of Apple CarPlay and Android Auto to models equipped with the 8.4-inch touchscreen. The 2018 Ford F-150 also offers a list of modern standard features and a decent engine lineup. For 2018, there are only a few updates including additional safety features. Read the rest of our review to find out which 2018 pickup truck is the best of the best! Ram offers an impressive engine option for the 2018 model year. The standard choice is a 3.6-liter Pentastar V6. This engine generates 269 pound-feet of torque and 305 horsepower and offers an estimated fuel economy of 25 mpg highway with two-wheel drive. The next engine in the lineup is a 5.7-liter V8 that creates 410 pound-feet of torque and 395 horsepower and is matched to an automatic 8-speed transmission. The EPA gives this engine an estimated fuel economy of 22 miles per gallon on the highway. The Ram 1500's engine lineup also offers a diesel option! This engine is a 3.0-liter turbodiesel V6 that produces 420 pound-feet of torque and 240 horsepower. The EPA gives this engine an estimated fuel economy of 27 mpg highway. There are so many engine options for the Ford F-150 that it can be overwhelming. Up first is the 3.3-liter V6 that produces 265 pound-feet of torque and 290 horsepower and is matched to an automatic six-speed transmission. The EPA estimates that this engine can get 25 miles per gallon on the highway. Other engine options include a 375 horsepower 3.5-liter twin-turbocharged V6 and a 325 horsepower 2.7-liter twin-turbocharged V6. Last up is a 5.0-liter V8 engine that outputs 400 pound-feet of torque and 395 horsepower. Ford will be offering a diesel option for this pickup truck but it's coming out later in the model year so only some trucks will benefit. There are so many configurations (two bed lengths and three body styles) available for the 2018 Ram 1500! Plus, each of the 11 offered trim levels is created with different types of drivers in mind. 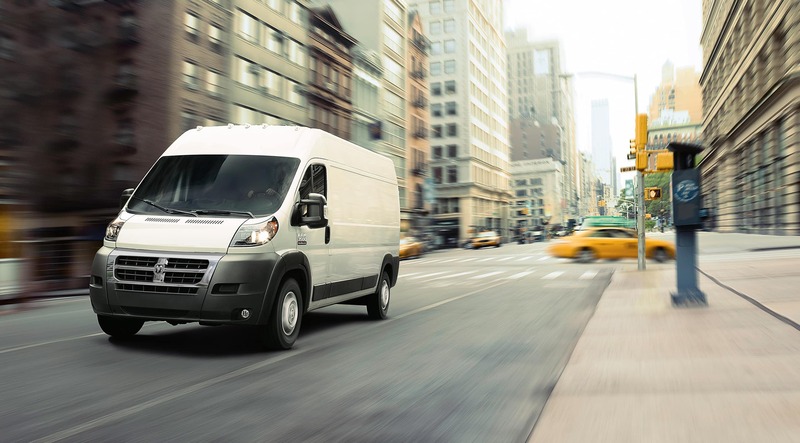 Standard features consist of manual mirrors and windows, a locking tailgate, spray in bed liner, a Class IV hitch receiver, a tilting steering wheel, air conditioning, and a six-speaker sound system. If you opt for a higher trim level you'll gain features like Apple CarPlay and Android Auto, 22-inch wheels, automatic windshield wipers, adjustable pedals, additional ground clearance, automatic climate control, an 8.4-inch touchscreen interface, and so much more! The Rebel model is perfect for those with adventure on the mind while the brand new Harvest model is great for those that are working on the farm or construction site! The Ford F-150 only offers seven trim levels for the 2018 model year. The F-150 offers a few configurations as well with three bed lengths and three body styles depending on the trim level. Standard features consist of an auxiliary audio jack, vinyl flooring, a four-speaker sound system, manual mirrors and windows, a 4.2-inch central screen, and pre-wired trailer connections. You have to opt for a higher trim level equipped with an option package to gain any more advanced features. There is an off-roading model but it exists outside the traditional lineup. The pickup truck segment is pretty competitive but it's clear the 2018 Ram 1500 is the winner here! The 1500 offers more standard features and an easy way to gain more advanced features, there is no need to add extra packages or spend additional money. 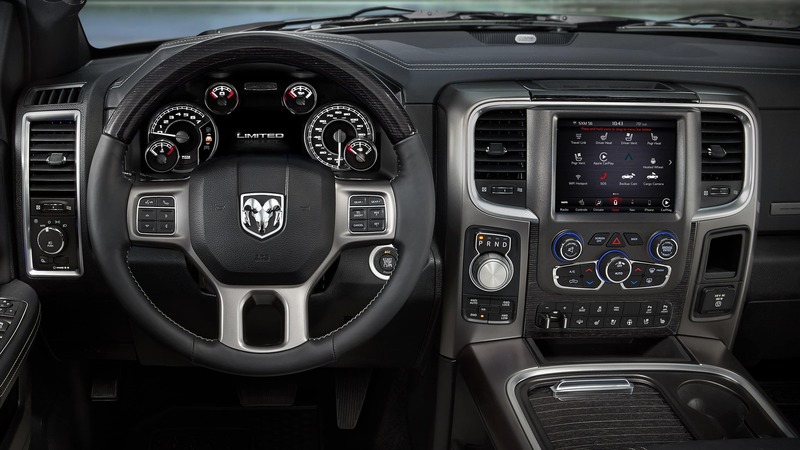 The Ram 1500 also offers more unique trim levels like the brand new Harvest and the Rebel to appeal to more drivers. If you are interested in learning more about the 2018 Ram 1500 you can come on down to our showroom or read out full review linked below! 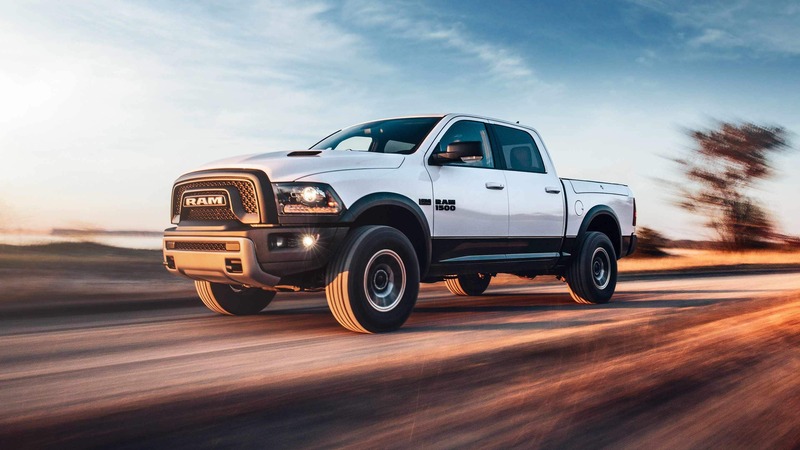 You can also check out our review of the 2019 Ram 1500 which will be hitting our lot soon!